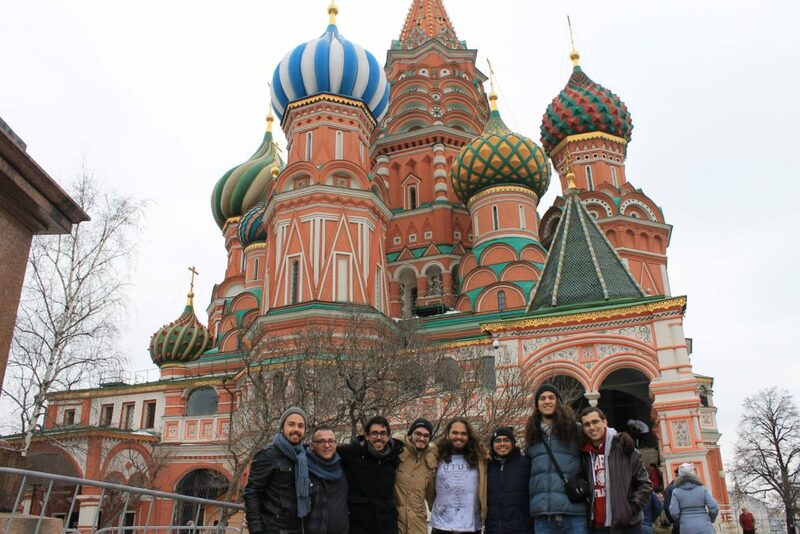 Beyond all IPT problems who are already challenging by nature — studying a sonic black hole, building a static speaker or a particle detector, the Brazilian team had to face, once again, one more problem than all other participants at the IPT 2018: money. 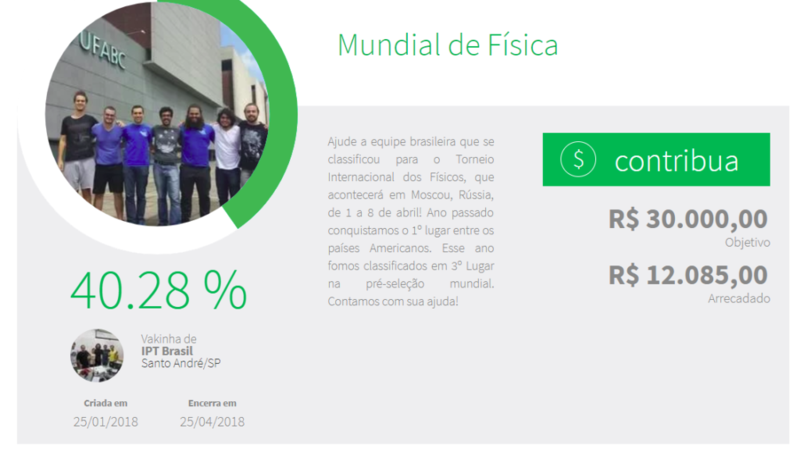 The government’s lack of investment in education makes it impossible for Brazilian universities to help in funding the team’s participation, and this goes way farther than they, as Physics students can do: economics, politics and many other aspects. Since the Brazilian team has just reached the Finale of the IPT 2018, and this is only the second time they participate in the IPT, we wanted to put a focus on how they challenged this problem! That is why we have asked some questions to Matheus Pessôa, the captain of the team, who kindly accepted to answer us during its preparation for the Grand Finale which will happen tomorrow. IPT: Hi Matheus! How much money was required for you to come to the IPT this year and how did you manage to gather it? Matheus Pessoa: Hi! We needed around 7000€ to buy the flying tickets, plus 1100€ to pay the registration fee. We made a crowdfunding campaign who got around 2400€ so far. 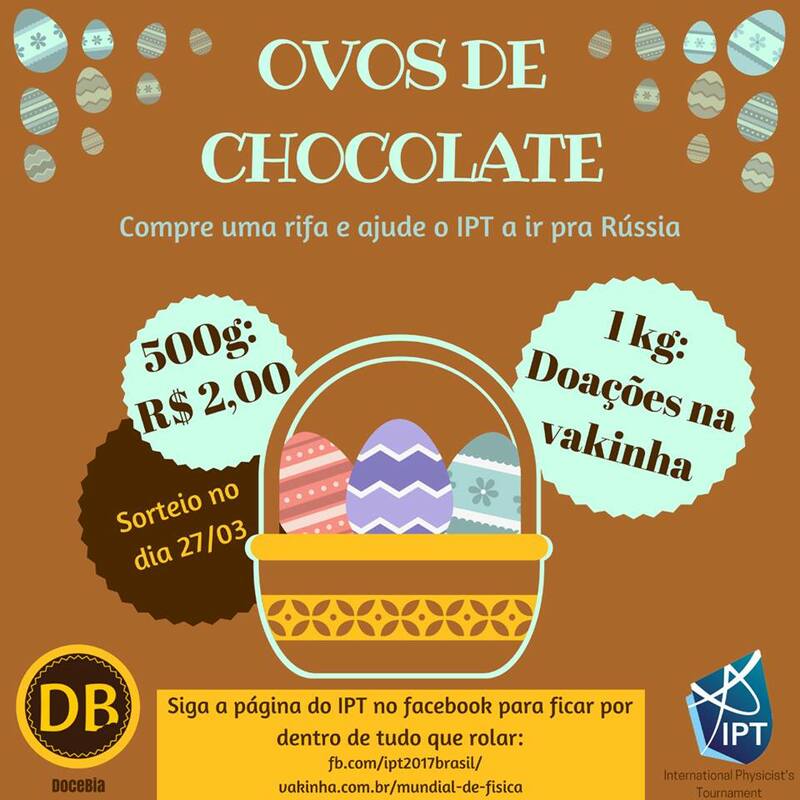 We also organized a lottery to win handmade Easter eggs! If some people want to give to our crowfunding campaign, this is still possible and we would be very glad! Why is the IPT important for you? The Tournament is important for us because it makes us reach our intellectual limits both theoretically and experimentally. But not only this: we want to inspire people from our country in studying Physics and exact Sciences in general. After the tournament we will continue our social project visiting schools to spread the word about the IPT problems as a way to inspire new High School students and show them that Physics is way more than mathematics and formulas: there is also experiments and your own interpretation of each physical phenomenon for all of this. We wish good luck to the Brazilian team for the Grand Finale of the tournament, and of course to all other participants!